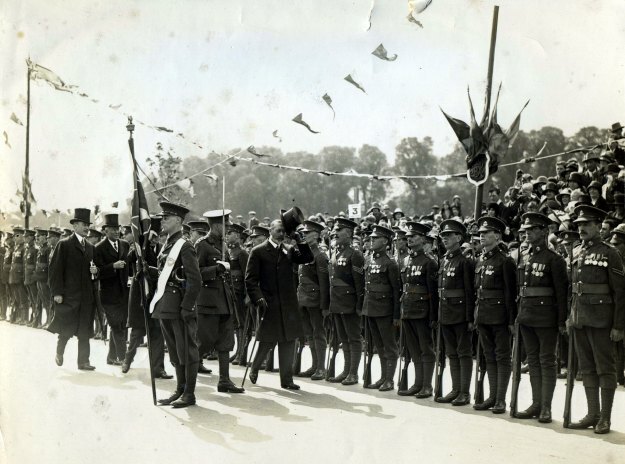 This photo shows King George V inspecting men from the Middlesex Regiment? (the cap badge appears to be from this regiment). Many of the men have the 1914 Star, British War and Victory medals from their service in the Great War. They carry rifles with bayonets.